Who doesn't love the sound, smell, and fun of a two-stroke? Wiseco has a new rebate offer just for the two-stroke lovers! For a limited time, Wiseco will be offering your choice of up to TWO (2) different free items with a minimum purchase of any off-road bike or ATV Wiseco two-stroke shelf piston(s)! 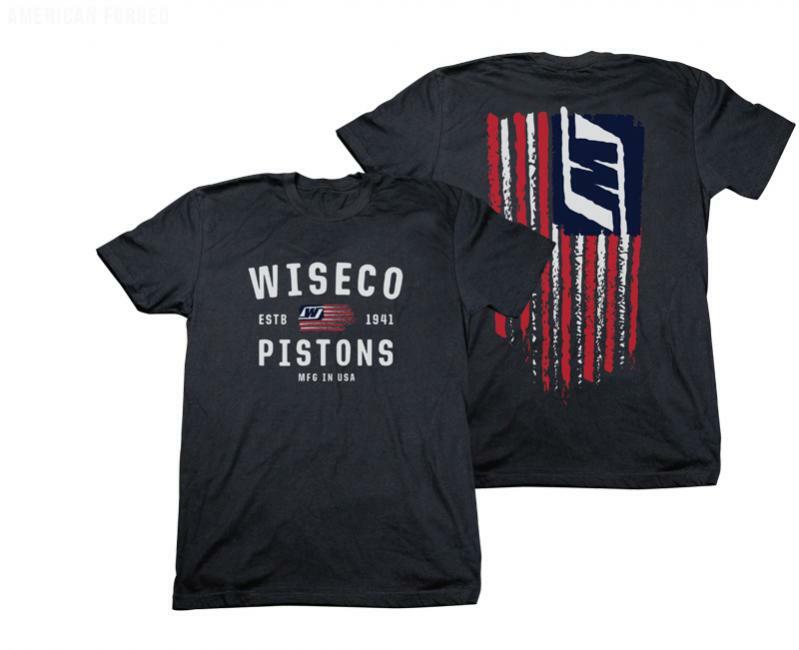 Choose from our new high-quality, modern-fit Wiseco T-shirts, the new Wiseco Patch hat, or a top end gasket kit! Simply pay a flat $10 shipping fee. Click here to go to the Two-For-Two-Stroke rebate form! To participate, follow the instructions below. Purchases must be made between TWOsday August 28th and TWOsday October 30th, and redeemed by November 30th. Purchase a minimum of $118 of any new off-road bike or ATV Wiseco two-stroke shelf piston(s) for ONE (1) FREE item, or a minimum of $165 for TWO (2) FREE items. Save your receipt/proof of purchase and piston box. Scan or take a photo of the proof of purchase and the piston box label showing the part number, and upload to the online rebate form. This is an example of the piston box label you will need to upload a photo of. Click here to go to the online rebate form, fill it out completely with all required information, be sure photos from step 3 are uploaded, and submit. Allow 1-2 business days to be contacted by a Wiseco representative, pay a flat $10 shipping fee, and allow 4-6 weeks for your free item(s)! The free item options include new, high-quality modern-fit T-shirts! 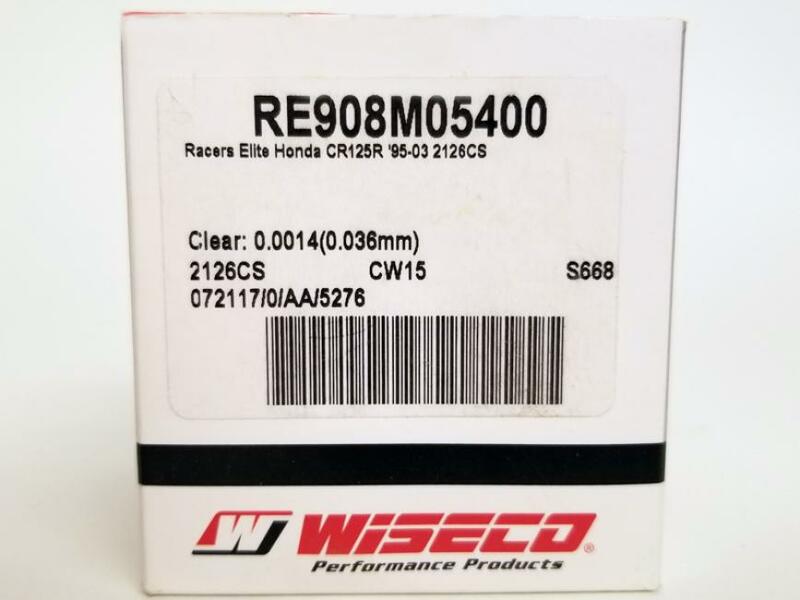 Click here to find Wiseco two-stroke pistons for your application! 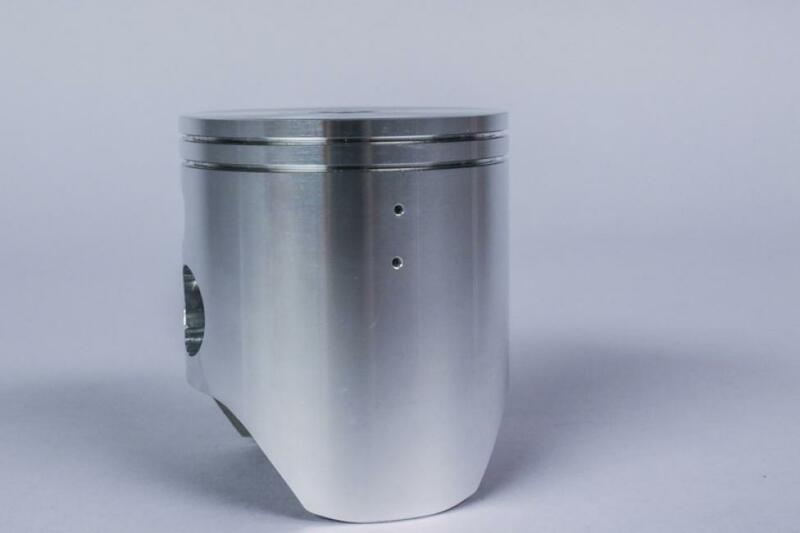 All Wiseco two-stroke pistons are forged in-house for added strength and durability, and are available for wide variety of applications. 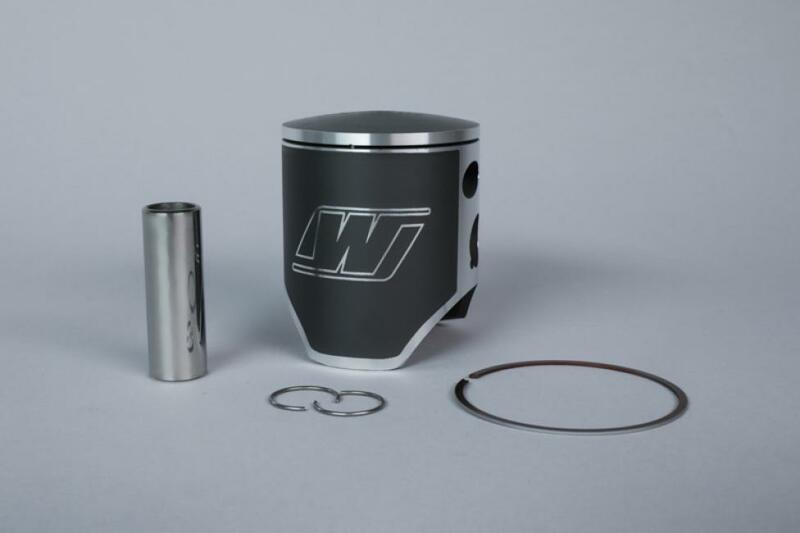 Wiseco's latest development in two-stroke piston technology is the Two-Stroke Racer Elite piston. 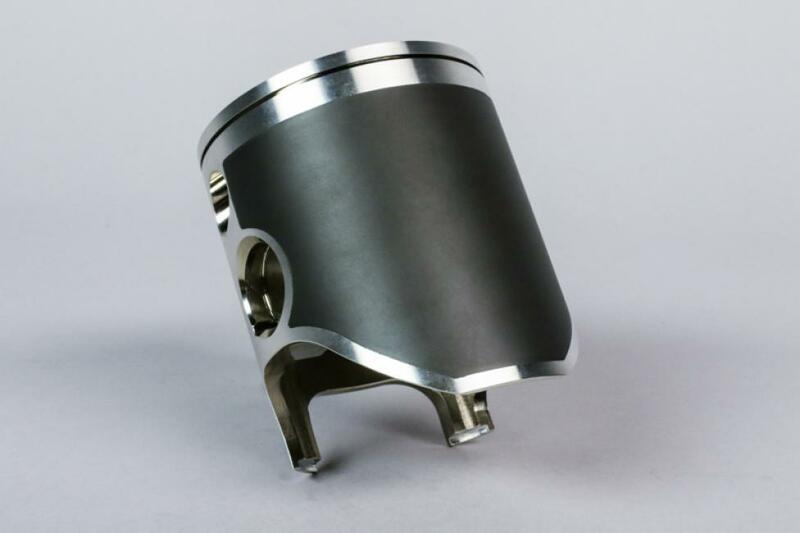 These pistons are forged from a 2000 series alloy for additional strength qualities, and protected by Wiseco's ArmorPlating coating on the piston crown and in the ring groove(s) for long-term protection from corrosive combustion chamber conditions. Watch the video and get the complete details on Two-Stroke Racer Elite HERE. 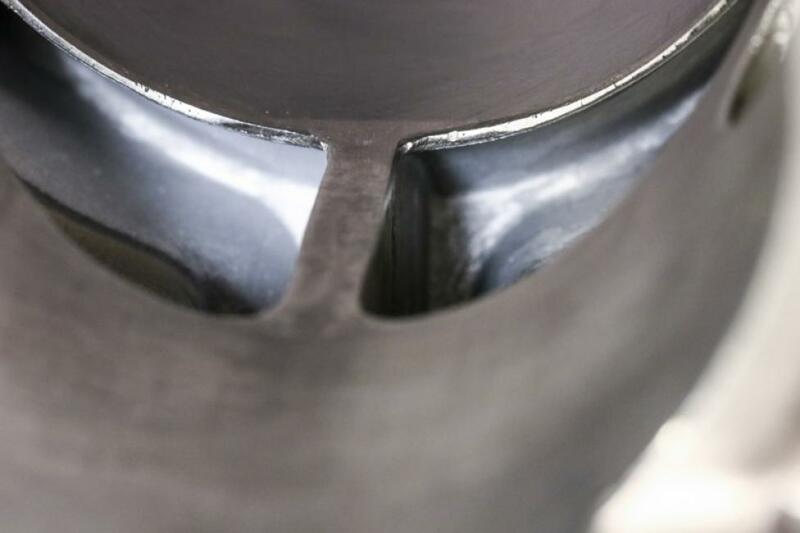 Some two-stroke pistons require exhaust bridge lubrication holes to be drilled in the piston, and the exhaust bridge on the cylinder to be relieved. Not sure if you need this, or need help completing these tasks? We explain it all HERE. Do you know the importance of exhaust bridge relief and lubrication holes? Review our full explanation here! Check out some more of our awesome two-stroke content! What is a Locating Pin? Purchase at least $118 worth of any offroad bike or ATV Wiseco two-stroke shelf piston(s) from any dealer or retailer between August 28, 2018 and October 30, 2018 and receive your choice of one out of four available items, or purchase at least $165 under the same stipulations above for your choice of two out of four available items, after online form submission. When applicable, two chosen items must be different, one item cannot be doubled-up. 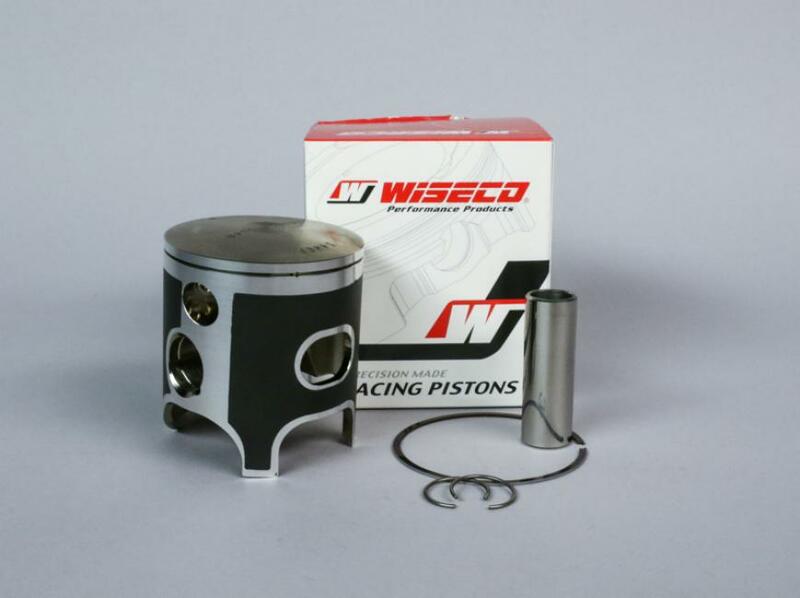 Wiseco two-stroke piston kits and PK kits eligible. Purchased dollar amount minimum must be met completely by Wiseco two-stroke piston product. $10 shipping fee applies to free items. Final shirt and hat colors and designs may not exactly reflect items pictured in promotion images. Promotion does not apply to custom pistons. Minimum purchase amounts at retail value only. Rebate form must be submitted electronically at www.wiseco.com/promo with all required information. Must provide photos or scan of proof of purchase and piston box label showing part number. Allow 4-6 weeks to receive your chosen items. Offer must be redeemed by November 30, 2018. Offer good only in 48 contiguous states. Limit one rebate per eligible purchase, per household. Maximum number of free items is two. Free gasket kit limited to a retail value of $69.00. P.O. Box address not accepted. Must be 18 years of age. This rebate offer is valid for end consumers only and not available to distributors, dealers, resellers, retailers or e-tailers. Offer void where prohibited, taxed or restricted by law. Please keep a copy of your submission. Substitution of products not valid. Qualifying products cannot be returned to the retailer once the rebate form has been submitted. Offer has no cash value. No substitutions. Void where prohibited by law.